Last year, a painting from 1916 by the Russian artist Kazimir Malevich’s (1879 – 1935) was sold in an auction in New York for $85.8 million. This painting, titled Suprematist Composition (see caption 1 below), became the most expensive Russian artwork ever sold in an auction. However, you do not have to be a billionaire to enjoy Malevich’s art, because the majority of his famous works are exhibited in the leading Russian, Western European, and North American art museums. And just recently, the Russian Museum in Málaga hosted a fabulous six-month Malevich exhibition, which offered an excellent overview of his oeuvre. In a sense, Malevich an unlikely candidate to be the most expensive Russian artist. He was an uncompromising avant-gardist, who was disliked both by the audiences and the Soviet authorities during his lifetime. Most of his works are abstract geometric shapes, and even his representative paintings are hardly typical crowd-pleasers. At the same time, however, art historians agree that he is one of the great pioneers of modernism and one of the first abstract painters. 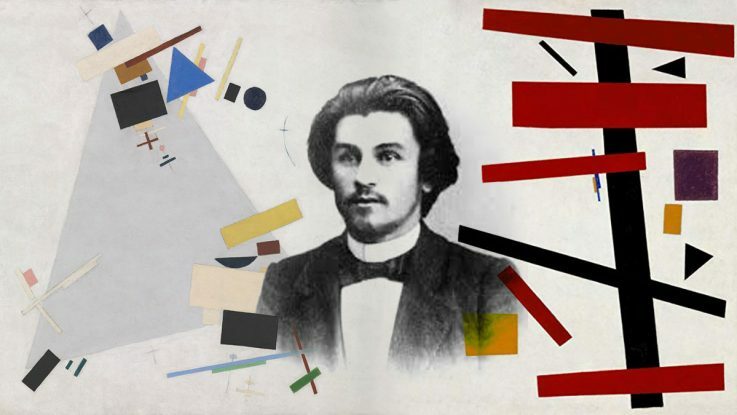 Also, his unique style, eccentric personality and his relentless belief in his own aesthetic mission make Malevich almost an embodiment of the Romantic ideal of artistic genius. Malevich’s most famous work is undeniably his Black Square from 1915. As the title indicates, the painting is literally a painted black square on a white surface (see Picture 2). He had already before taken distance to conventional representative painting, but this is his first completely abstract painting. 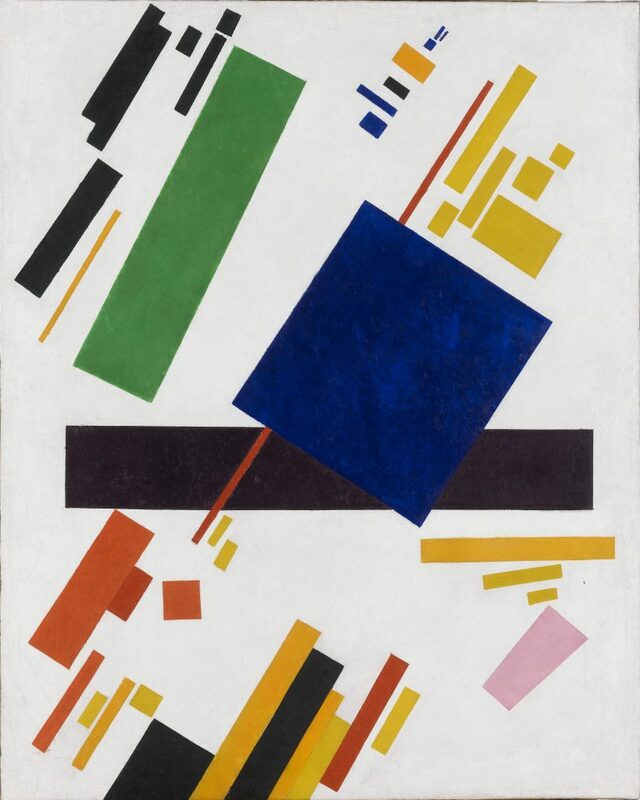 To many critics, this work and Malevich’s style – which he called “Suprematism” – represents a landmark of 20th-century art, ”the zero point of painting.” To some others, however, his art is proof that avant-garde artists are nothing but charlatans: “Even a child can paint like that!” However, there is something fascinating about the blunt, almost aggressive simplicity of this work. Here painting has been stripped to its most rudimentary elements, to the simplest of all forms (square) and colors (black). It would be hard to imagine an artwork that has been so completely isolated from the outside world of everyday experience. It is like a complete break with the anthropocentric ethos traditionally held by Western artists since the Renaissance. At the same time with the Malevich exhibition, the Russian Museum in Málaga had also an exhibition of Socialist Realist art. Although less interesting in terms of artistic merits, the Socialist Realist works nevertheless created a perfect contrast for Malevich’s art. In the 1920s, Socialist Realism was introduced as the officially approved type of art, and the root of the Soviet government’s hostility towards Malevich was his inability (or unwillingness) to abide by the norms of Socialist Realist art. Thus, the visitors at the museum had a unique chance to see at the same time the kind of art the Soviet government wanted to see as well as the kind of art they did not want to see under any circumstances. During the rest of his career until his death in 1935, Malevich was continuously harassed by the authorities and even imprisoned for a few months. However, he died of natural causes, unlike so many other Soviet artists and intellectuals. Kazimir Malevich’s Suprematist Composition (1916) was sold last year for $85.8 million, making it the most expensive Russian painting ever sold. 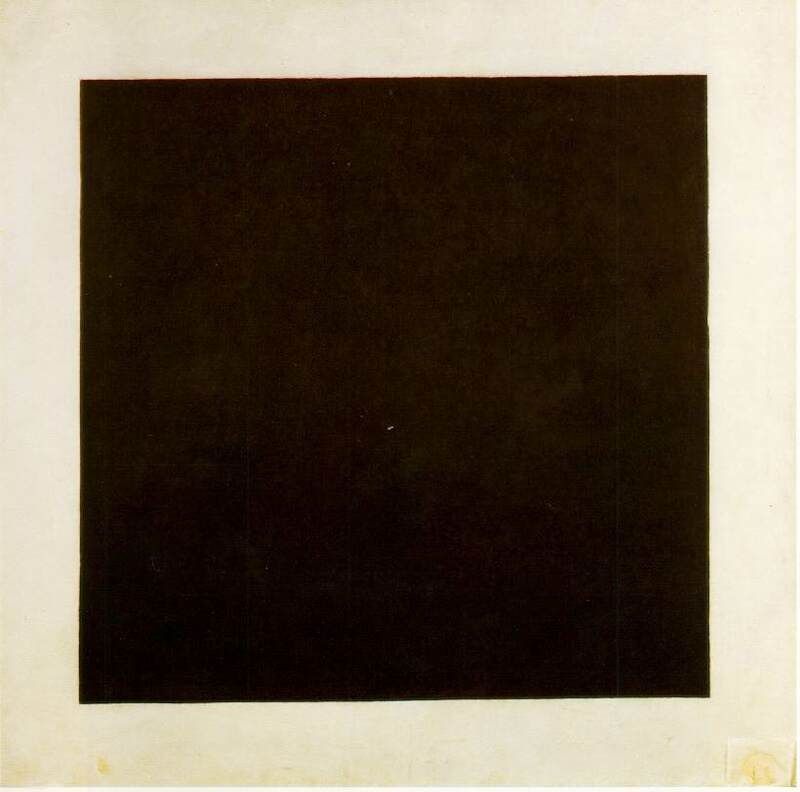 Malevich’s most famous work is his Black Square (1915). The painting is a classic of early 20th century abstract art. It is now at the Tretyakov Gallery in Moscow. 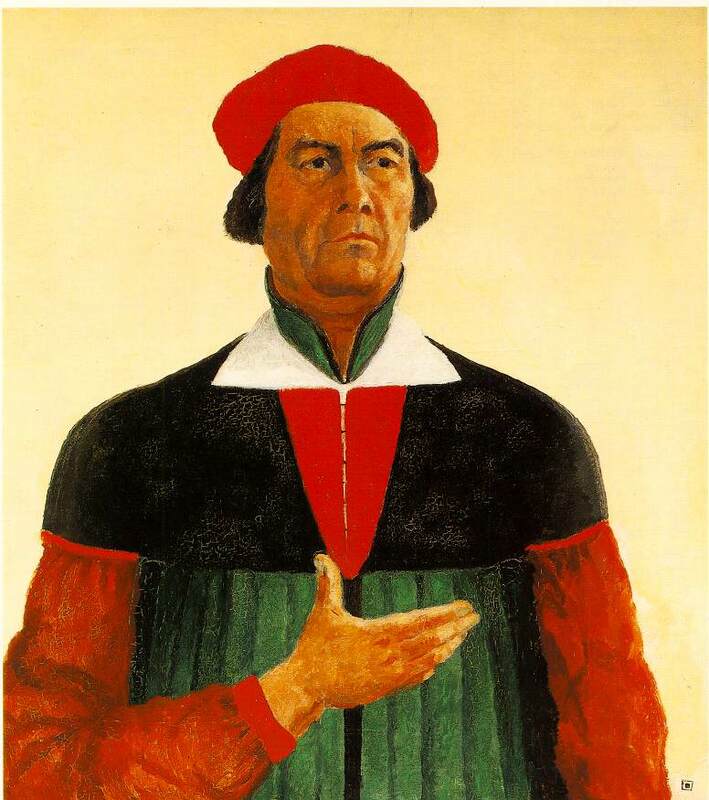 In his self-portrait from 1933, Malevich appears to be holding an invisible square in his hand. It can be interpreted as a middle finger to the Soviet authorities who attacked his abstract paintings and persecuted him during his later career.